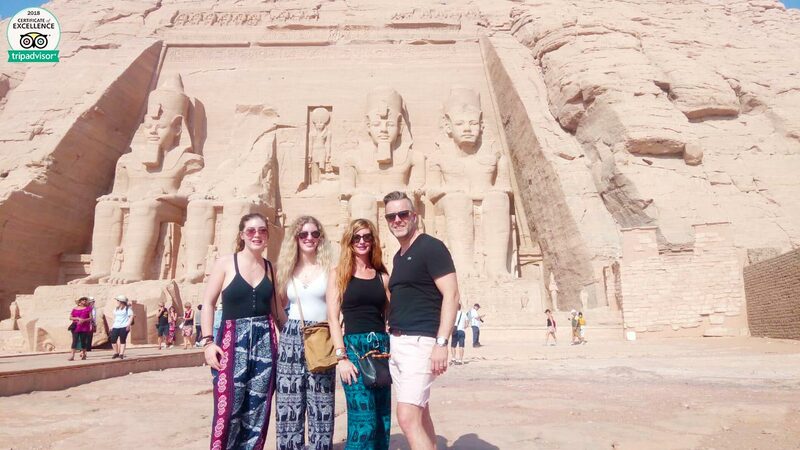 What a marvelous chance to be able to have an awesome 4 days Cairo and Abu Simbel tour package that gives you the opportunity to visit Giza Pyramids, the Egyptian Museum, and the two splendid temples of Abu Simbel accompanied by a private Egyptologist tour guide. Book Now!!! Our representative will be responsible for picking you up from your hotel and return. Magical 2 Nights at 5* Hotel in Cairo. Magical 1 Night at 5* Hotel in Aswan. A private skillful Egyptologist during you 4 Days Trip. Entrance fees to all the gorgeous mentioned places. A special air-conditioned vehicle for all of your transport. All Taxes and Charges are paid in advance. Any additional services not mentioned in the program. Our representative will meet you at Cairo Airport upon arrival, and you are going to go to check in your 5* Hotel in Cairo by a private air-conditioned car, plus at evening time you are going to have a special dinner cruise. Prepare yourself to explore Cairo tourist attractions by an awesome visit to Giza Pyramids joined by your tour guide and start the exploration of Cairo and Abu Simbel tour package by casting your eyes on one of the seven wonders of the world monuments. They were built to endure an eternity. Egypt’s pharaohs expected to become gods in the afterlife so they have built the Pyramids to prepare themselves for the next life, filling their tombs with different items to be secured. “It’s considered to be the oldest among the Seven Wonders of the World”. All tourists around the world love visiting it because of its massive limestone. Inside this giant pyramid, you can find three little chambers that represent the Queen’s chamber and the King’s Chamber but the third chamber isn’t finished for a mysterious reason. It’s associated with Ancient Egypt because of its magical shape as it has a body of a lion and ahead of a human. It dates back to the reign of King Khafre and is considered the oldest monumental sculpture in ancient Egypt. It was used for the purification of the mummy of the king before its burial and for making the Mummification process of the king. Before transferring you to visit the Egyptian Museum, enjoy your delicious lunch at local restaurant in Cairo accompanied by your tour guide. Then head to complete the exploration of your day. It’s a place where you can find most of the Egyptian Antiques. It has about 120,000 priceless items which reflect how amazing the Ancient Egyptians. The museum considered being one of the most famous Cairo tourist attractions. Finally, at the end of your day, catch the flight to Aswan and check in at 5* hotel for overnight. Morning time, join your tour guide heading to Aswan by a modern Air-Conditioned vehicle to continue your Cairo and Abu Simbel tour by visiting the most historical archaeological site in Egypt. Your vacation is not completed without a tour to the most historic landmark in the world Abu Simbel temple. This archaeological site consists of two temples one for the great King Ramses II and the other one for his beautiful and most favorite wife Queen Nefertiti. There is a long story around its transfer and rescue from the flood water by the UNESCO. After finishing your tour, you will go again to Aswan Airport and return to Cairo Airport. Now it’s the time to return to your 5* Hotel for overnight. Have your breakfast and our representative will accompany you to finish your paper transactions and take you to Cairo Airport to fly back home. If you didn’t find what are you looking for, so you can check our Egypt tours packages and choose your dream vacation, or customize your own trip via Egypt travel planner.